For a while it had been known that the Kenya National Highways Authority (KeNHA) planned to widen the Busia Road (B1) main road that passes the Kanyawegi Children’s Home in Otonglo, but it had been thought that the impact on the Home was likely to be minimal - just encroaching on part of the front compound. However, in November 2012, contractors arrived at the Otonglo Home, made new measurements and marked up the Home with red crosses and lines to show that they now expected the two water wells in the front yard and about two thirds of the main building to be demolished to make way for the new road - a line that was 52 metres back from the centre of the Busia Road. They also stated that, if the Home didn’t arrange and pay for the demolition it would be done for us and we would be charged by the contractors. There was no indication that any compensation would be paid to the Home, as the contractors claimed they were just taking back government land classed as ‘road reserve’. The stretch of road widening between Kisian and Nyamasaria and the locations of the former Kanyawegi Children’s Home, near Otonglo Market, and the new Emmanuel Home, near Riat Market. The Daily Nation newspaper has reported that on the night of Saturday 2 May 2015 construction contractors, accompanied by around 200 police instantly evicted people and demolished half of the Otonglo Market that is in the vicinity of the former Kanyawegi Children’s Home. The part opened Busia Road (B1) widened to a dual carriageway on the stretch between Kisumu City Centre and Riat Market / Kisumu International Airport - December 2012. Around the same time, KeNHA placed a Notice in the ‘Daily Nation’ newspaper of Monday, 5 November 2012 demanding for people to clear all illegal structures from the route’s road reserve, within 14 days. Clearly this development was of great concern to those at Kanyawegi and to the UK Committee and we took out an injunction halting any physical action until the correct line and any compensation matters could be decided in Kisumu’s High Court. Many brief court hearings and some re-measurement exercises followed. KeNHA maintained that all they were intending to use was the ‘road reserve’ and this was being measured as 30 metres from the centre line of the Busia Road and, on that basis, no compensation was payable to the Home. The Highways Authority later redesigned the alignment of their road widening scheme so as not to go beyond the ‘30 metre road reserve’ so that none of the building has to be demolished. However, it still meant the loss of the front yard and the two water wells, which are the only water supply, and leaving the Home too close to the road for the safety of the children / young people, making relocation a necessity. 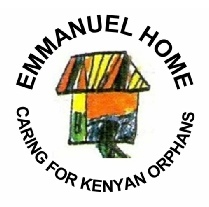 In Summer 2014, the girls / young ladies were relocated to a small rented house near Riat Market, approximately 1.3 miles to the east of Otonglo, which has since been named ‘Emmanuel Home’. The boys / young men are currently being housed in temporary accommodation locally, or are living away with extended family, at college, or at university. The Kanyawegi Children’s Home at Otonglo was sold in Autumn 2014 and the proceeds have been used to help pay for fees and maintenance costs for some of the young people. In mid-January 2015, the road improve-ments had yet to reach the former Home at Otonglo. Work has been temporarily halted, as there had been protests that not enough local labour was being used by the contractor. In KeNHA’s opinion, their revised measurements would mean it still including the Home’s entire front yard and 2 metres deep into the Home’s main building’s frontage. KeNHA’s measurements were disputed by the Home, as it was our opinion that 30 metres from the centre of the road came up to the front exterior face of the main building, but no further.